last night i decided to bring over my 1tb samsung sata drive to my new pc with windows 7. i honestly don't know how or why or if this caused the clock desync but it's the only thing that preceded the issues. my pc has a drive slot with this tray thing in the front. allowing me to plop the 1tb drive into a tray, slide it in and connect. at first it wouldnt slide all the way in and reach the sata power/data slots. i had to take off the cases cover to spot this. i pushed it further in once i noticed the issue and locked the little door thing it has. once finished a very fast message about raid came up but i could never look at it long enough. although i didn't touch it. when windows booted i noticed some strange stuff. a lot of icons from the lower right hand corner, near clock time, seemed missing and invisible? by invisible i mean they took up space but did nothing when i clicked on this ghost spot. i ignored it for now and went on with my business. i changed my network card to static from dhcp as well. i dont know if this made this worse or not. this is when i noticed a lot of internet connectivity issues. every browser that i tried using to access google or other specific sites said their certificates were bad news. i finally noticed a problem with my calander. the time was correct but it was flung into octoboer 2013 or 2012... my memory is being fuzzy now. i fixed this and regained some internet capabilities. 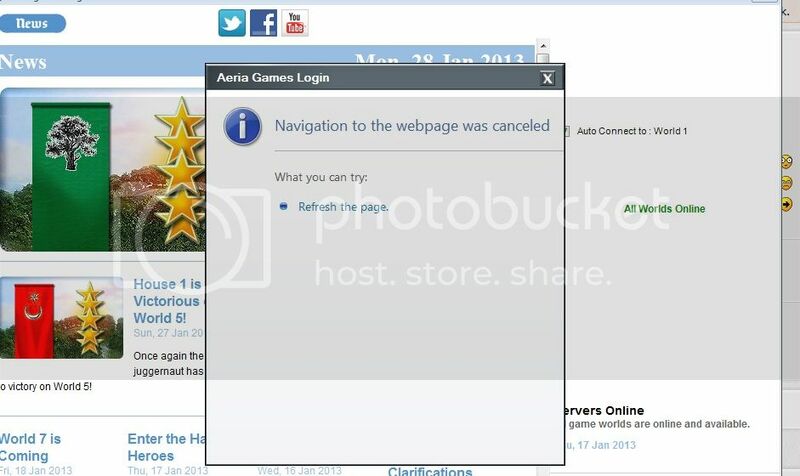 however games that run with flash or over the net have been plagued with issues of not connecting correctly. i've tried restarting a few times and resyncing the time with the net. i've checked my time and date against the clock websites for my region. things should be back to normal, no? i've done nothing to windows itself or moved the paged file to the separate drive. this 1tb drive is merely a backup drive for data like movies, document files, document scans, any games, and 2 backups i made of my old pc which had xp home. its maybe 6 years old i guess. i brought it over from my vista machine that sits in the living room. is there something i can do? this is so frustrating. i think i'll remove the drive just to see if this the solution but i'd like to get all of your thoughts before trying anything as of now. thanks for any help! The only thing that makes any sense at all is that some bad connection was made during the Hard drive connection and caused a surge or short to the mother board in return causing possible damage to other hardware like power supply, ram or maybe system files. Your clock, calender issue almost sound like a possible BIOS Battery issue, a dying BIOS Battery can cause some strange problems too. It's all I can think of for now. If your still have those icon issues you might try a System Restore. Just in case the file system or registry got corrupted in some way. I'm guessing here, with so many issues, hard to advise on exactly what occurred and how exactly to proceed. Is the computer booting ok now? No errors? Last edited by zep516; 01-26-2013 at 08:13 PM. yes the pc is booting just fine. what seems to be really affected right now are certain ssl or security certificates. no matter how many times i delete said program. it wont connect or keeps telling me the providers certificate is invalid or something. i'm thinking the time travel caused this and it wont fix it self. i've tried defaulting internet options but that didn't help either. it's all i could find on the net. What about the time and date on the computer? 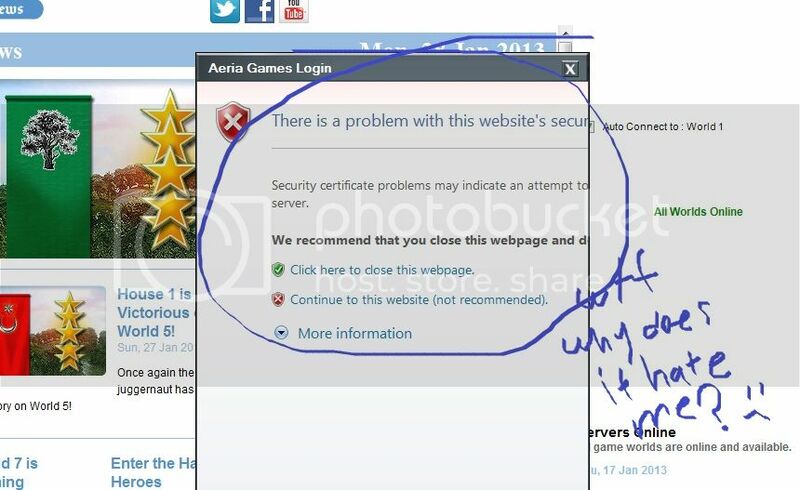 If that is incorrect you may well get "certificate is invalid or something"
Last edited by zep516; 01-28-2013 at 08:14 AM. while i was waiting for a reply here i asked around and in a forum for a game i play frequently. they told me what you did at first. check the bios and windows clock. which i did. i noticed that my clock and the bios clock both have the same time. i've used total uninstall 6 twice now to fully uninstall the game. this doesn't seem to help. i wasn't sure if it would since certificates are server sided or something? well i think you know what i mean. It says vista but should pertain to you too. Lets see if anything there sheds a light or is helpful to you. Maybe some help there, what about a different browser have you tried that? i've sent a support ticket and they haven't answered it yet. i posted on their forum today though. i did find this via search but i'm not sure i followed the steps to the letter. i'm going to do it again and make sure it's done by the numbers. But you did not answer 1 of my questions. Have you tried another Browser like Firefox or something? And if so do you still have the same problem?